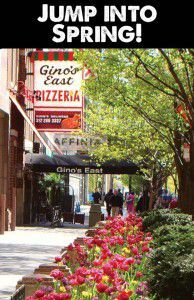 Help the Gino’s East Superior Street location Jump into Spring! We’re throwing corporate events, birthday parties, rehearsal dinners, reunions and more in our party space, and we want you to help us get things going. We’re offering 10 percent off your subtotal if you book by March 31, 2015 and mention this article. Has your team worked hard all winter? Do Q1 numbers look better than ever? Reward your staff for their hard work and dedication with an office party. Our space can fit parties of 15 up to 300 people. Long story short, we are able to accommodate as many or as few coworkers as you’d like! Try our Gino’s Favorite package, complete with our combination appetizer platters (Gino’s homemade mozzarella sticks, spinach sticks, and calamari). Move on to our family-style salad, served with assorted dressings, garlic breadsticks, and unlimited toppings on your deep dish or thin crust pizzas. 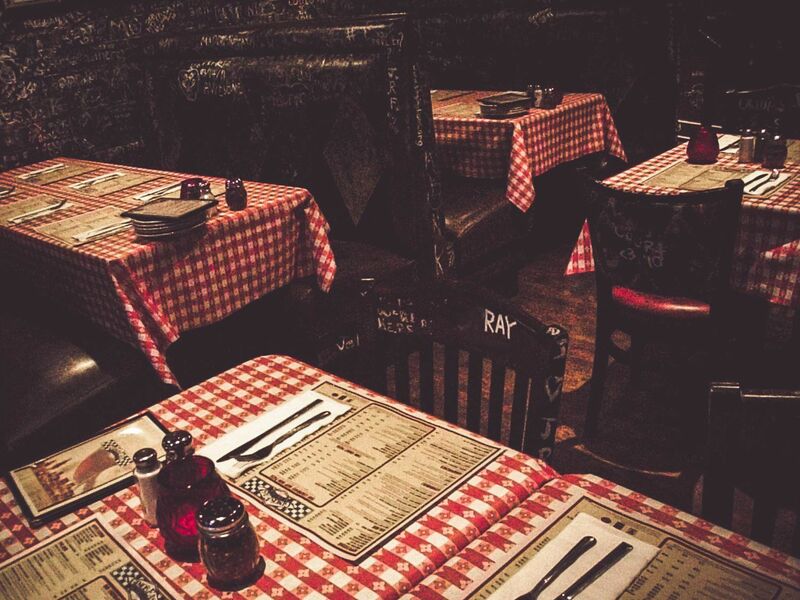 Family reunions, class reunions or getting together with a large group of friends is a great excuse to head to Gino’s East on Superior. Located in the heart of downtown Chicago, you and your group would be able to explore the city by day and fuel up on pizza and appetizers at night. Although our party discount does not include alcoholic beverages, we do have unlimited soda, coffee, tea and home baked cookies. Have a graduate who’s ready to leave the nest? Send them off with a bang. Our deep dish pizza is ideal for large groups of hungry teenagers.  Remember that our party rooms can only be reserved for groups of no less than 15 people. We also have valet parking at our Superior location. Try our Mag Mile package if you’d like to feed a crowd. Your party will start out with family style salad served with assorted dressings, and garlic breadsticks. Then your guests will enjoy unlimited toppings on your deep dish or thin crust pizzas accompanied by family style mostaccioli with marinara sauce. To book your next party, call Erica at 312-266-5421 or email superiorevents@bravorestaurants.com. Make sure to mention this article before March 31, 2015 to receive your 10 percent discount.